In less than 24 hours, hotshot startup Waze went from the next Instagram to just another app developer. Waze is a crowdsourced traffic app that uses passive and active feedback from it users to create up-to-date traffic maps. On Wednesday, TechCrunch reported that Waze was in the advanced stages of acquisition negotiations with Apple. The only hangup was the final price tag on the deal. Apple reportedly was offering US$400 million, plus $100 million in incentives. Waze wanted $700 million. By Thursday, though, TechCrunch was pronouncing the deal not only dead, but non-existent. “That Apple/Waze Deal Hits A Roadblock — That Roadblock Being Reality (Not Happening),” declared Thursday’s TechCrunch headline. Even before TechCrunch uttered extreme unction over the rumored deal, there were those who found it bordering on the nonsensical. “There is no way Apple is going to pay $500 million for a company that’s still a work in process,” Trip Chowdhry, managing director for equity research at Global Equities Research, told MacNewsWorld. Waze spokesperson Michal Habdank-Kolaczkowski declined to comment for this story. Apple has had problems with its mapping app since it substituted it for Google’s in the latest version of its mobile operating system, iOS 6, introduced in September 2012. Places were mislocated or misnamed, for example. Maps for some areas lack detail. In addition, public transit information was completely omitted from the app and sometimes the images from its flyover feature are badly distorted, so much so the aerial views appear to resemble reflections in a funhouse mirror. “Acquisition of Waze isn’t going to solve the satellite imaging problems that make things look like they’re melting,” Yankee Group Research Director Carl Howe told MacNewsWorld. Apple needs a quick fix to its mapping woes, and an acquisition might be the answer, said Michael Morgan, mobile devices analyst at ABI Research. 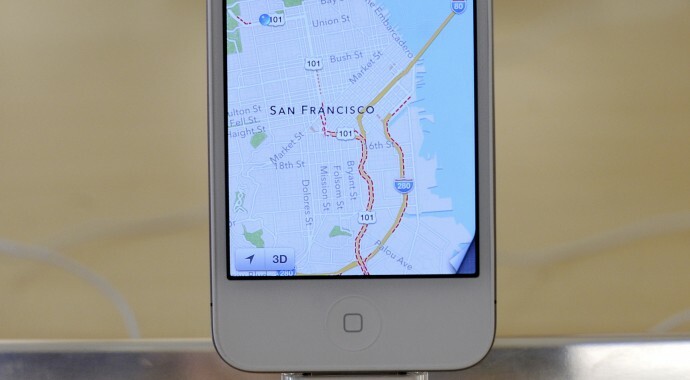 “Apple Maps definitely needs the technology that Waze has to offer,” he told MacNewsWorld. Companies are faced with “buy or build” decisions all the time, he explained, but in this case, the build decision has been taken away from Apple. “The product is already out there and consumers are already disappointed with it,” he said. While Waze’s technology isn’t a panacea for Apple’s mapping problems, it could make a worthwhile contribution to the company’s cartography offering, according to Tim Bajarin, president of Creative Strategies. However, that short term benefit alone wouldn’t be a reason for acquiring Waze. “Waze’s real value proposition is its network of users who continue to supply information to make its maps accurate,” he observed.